Sometimes it is ok to spill paint. More than ok, it is a downright good idea. I’m actually thinking of doing it more often after seeing how cute all these planters I have made turned out. 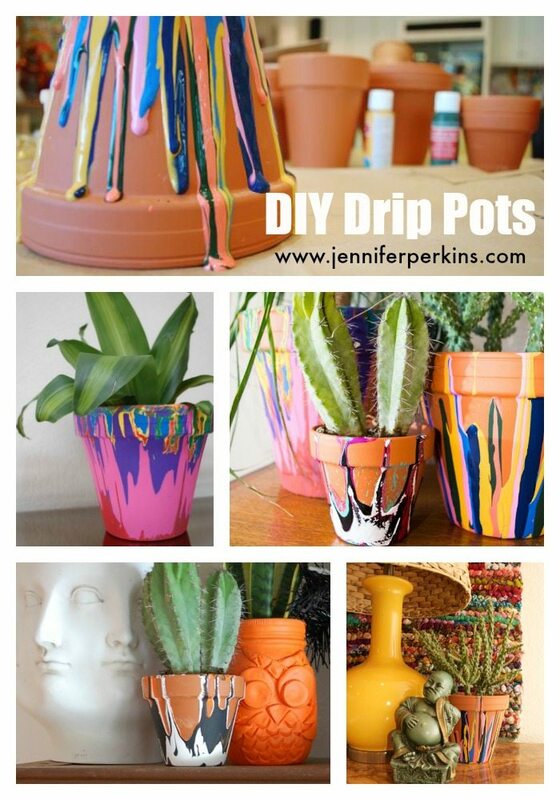 The Rainbow Drip Pot is perfect for summer. Over on DIY Network I have a few multi colored options. Plus there is even a Halloween take on the project in the archives. With paint costing about .50 a bottle why wouldn’t you give this project a swirl? Posted June 17, 2016 & filed under Crafts, Home Décor Crafts, Plant Crafts.